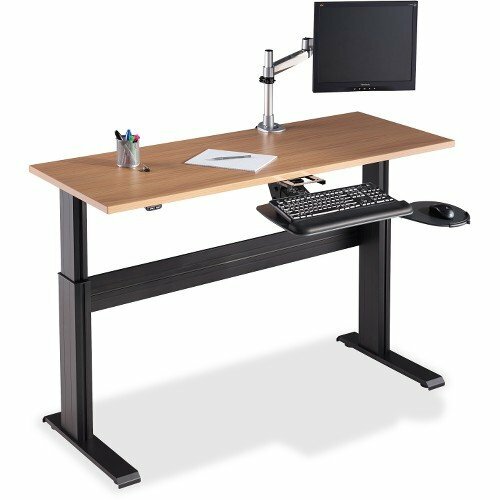 This 1" thick tabletop attaches easily to the electric height-adjustable base (sold separately) of the Lorell Adjustable Workstation. Sit-to-Stand design is a great way to increase your circulation, comfort and productivity. 72" wide top features durable Latte laminate and 3mm edge banding. Table Top Width: 72", Table Top Depth: 24", Table Top Thickness: 1"